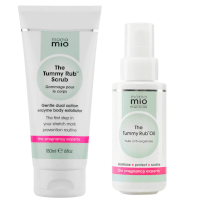 Polish and pamper your skin with The Tummy Rub Scrub from Mama Mio. Gentle yet effective, the luxurious exfoliator utilises fine particles of Volcanic Lava, Bamboo Extract and natural Papaya to delicately slough away dead, dry skin without stripping moisture. 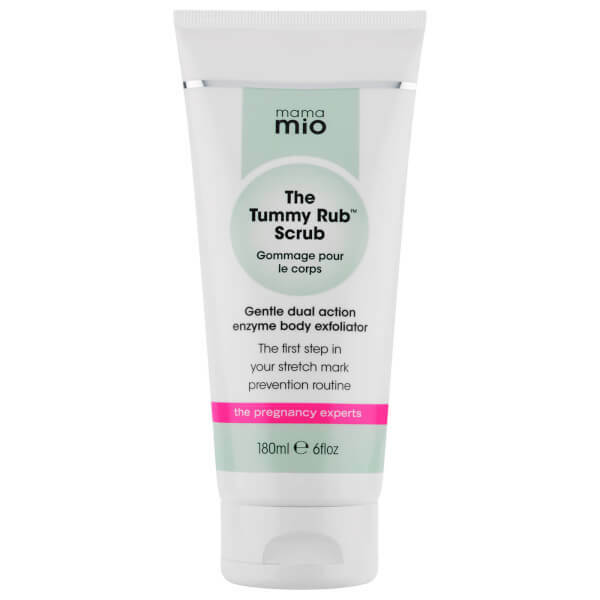 Enriched with Organic Shea Butter, The Tummy Rub Scrub softens and moisturises, whilst helping to minimise the appearance of stretch marks and uneven, bumpy skin. 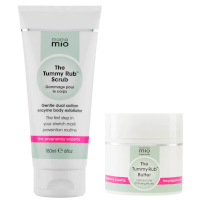 Regular hydration and exfoliation promotes silky smooth, refined skin that feels velvety and deeply replenished. Perfectly prepares for application and absorption of further skincare products, including butters, creams and oils.